Decorating for the holidays is something we love to do! Today I started decorating with my kids, which means the details needed to be easy to work with and fun. What we came up with is a beautiful Hershey’s Kisses Centerpiece! This centerpiece is not only gorgeous and inviting, it captures attention and starts conversation. Best of all, it’s edible! I’m sharing the step by step tutorial over at SheKnows. To see my tutorial CLICK HERE or click the photo below. Want to see what else we made with Hershey’s Kisses? 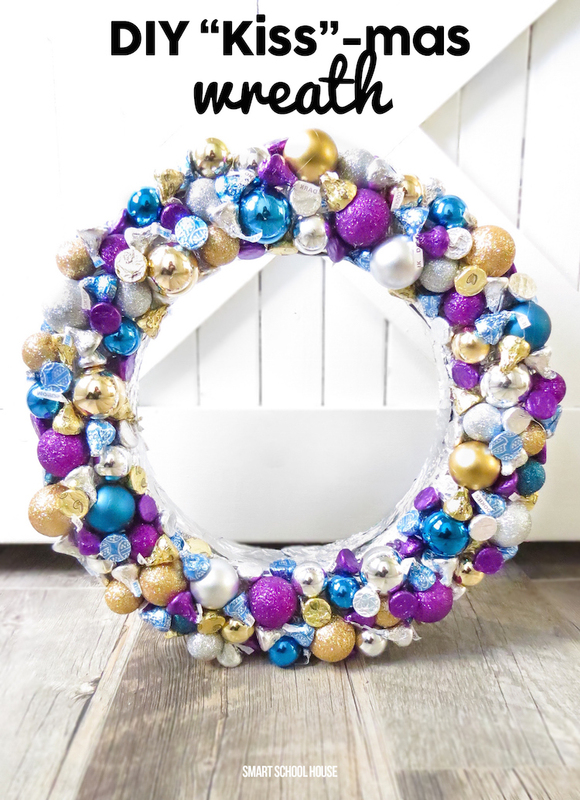 Check out our gorgeous DIY Kiss-mas Wreath! I absolutely love how beautiful the ornaments and chocolate kisses look together! Who knew kisses could be so darn cute? What a sweet holiday it is for your family. DIY decorations are more unique, interesting and meaningful. It allows you to express your artistry and creativity.